This recipe is my standard go-to for when I crave something creamy and rich. I just whip up this sauce and add it to pasta with some fresh veggies, or make a quick and easy mac n’ cheese. 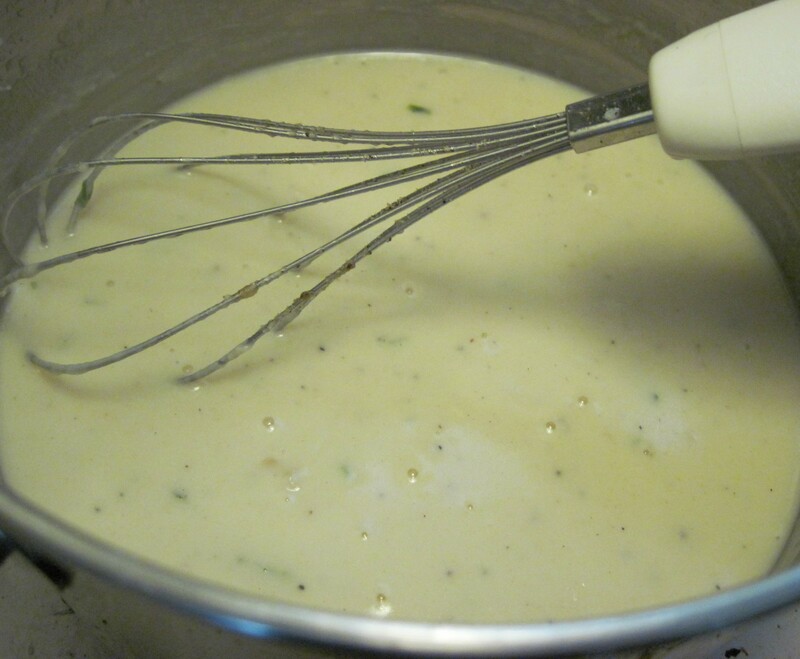 The great thing about this sauce is that (in terms of cream sauce), it’s relatively not bad for you. It is thick and rich and tasty, but predominantly low-fat milk with a little butter, oil and cheese. Sundried tomato gnocchi in cream sauce pictured above. 1. In a large saucepan, heat butter and olive oil over medium heat. 2. Add garlic and sauté for 1 minute. 3. Combine flour and heat for 3 minutes (stirring constantly), until it forms a golden brown paste. 4. Stir in parmesan until it begins to melt. 5. Begin slowly adding milk, whisking constantly from now on. Begin with just a splash, then up to 1/2 a cup at a time. 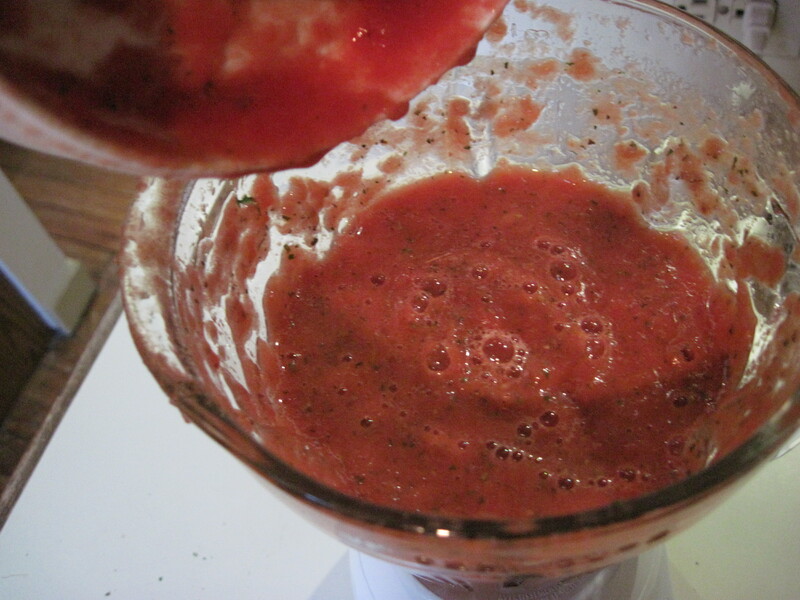 After each addition, keep whisking and wait to add more until sauce is heated again and slightly thickened. 6. After all milk is added, reduce heat to medium-low and add basil and salt and pepper to taste (you won’t need much salt at all). While the sauce is still warm and over the burner, add your favorite cooked pasta (or sundried tomato gnocchi – pictured above). Mix until evenly coated and heated. Immediately serve and sprinkle with some fresh basil and/or cracked black pepper. If you add macaroni, ziti, penne (or any other similar tube pasta) you can then place in a baking dish and make a delicious, white, baked mac n’ cheese. Sprinkle the top with more parmesan and/or bread crumbs, cover with foil, and bake at 400º F for about 20 minutes. Then remove the foil and bake until the top is browned to your liking. •Try mixing this up by replacing the parmesan cheese with some other kind of cheese (chevre, brie, gorgonzola, etc.). Just be conscious of the fact that you may need to alter the amount of cheese you add depending on the kind. If you add a stronger cheese (gorgonzola), you may need less, or if you use a more mild cheese (chevre), you may need more. •A little goes a long way! You’ll find you just need to lightly coat your pasta with this sauce, so you’ll likely have leftovers. That’s fine – it keeps relatively well. Just refrigerate or freeze in plastic containers, or even jar it. I’ve never gotten into the whole make-your-own-pasta thing. But here’s one pasta I will make over and over again. 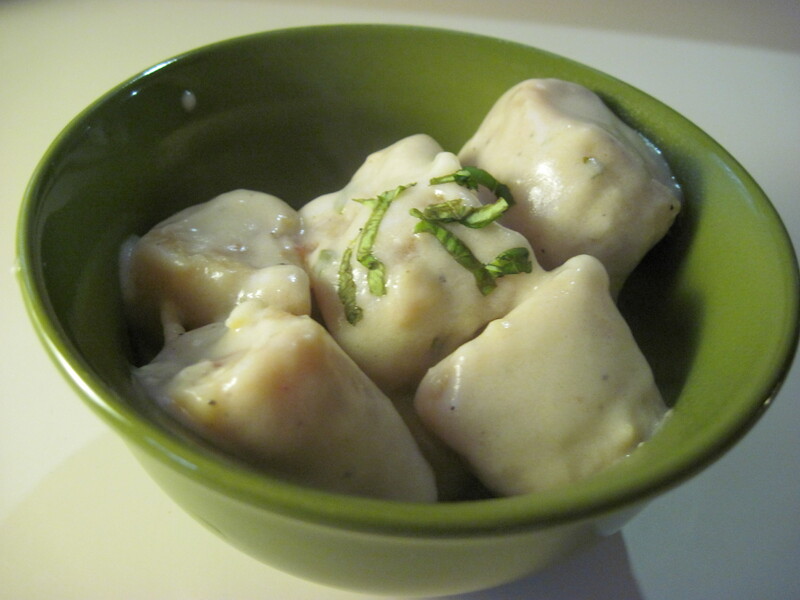 The recipe is easy, malleable and produces delicious (non-traditional) gnocchi! Instead of waiting for potatoes to cook and using a special flour, you just have to purchase a container of ricotta and use the all-purpose flour you have sitting in your cupboard. This is from yet another great recipe from the amazing BrokeAss Gourmet. 1. In a large bowl, mix ricotta, sundried tomatoes, parmesan, flour, yolks, garlic and a pinch of salt. 2. Mix until a sticky dough forms, adding more flour if/as necessary. 3. Turn out dough onto a floured surface roll into 4 or 5 long snakes, about 3/4 inches to 1 inch thick. 4. Cut into 1 inch pieces. 5. Bring a large pot of salted water to a light boil and add gnocchi. Cook for about 5 minutes, or until gnocchi floats to the surface. 6. 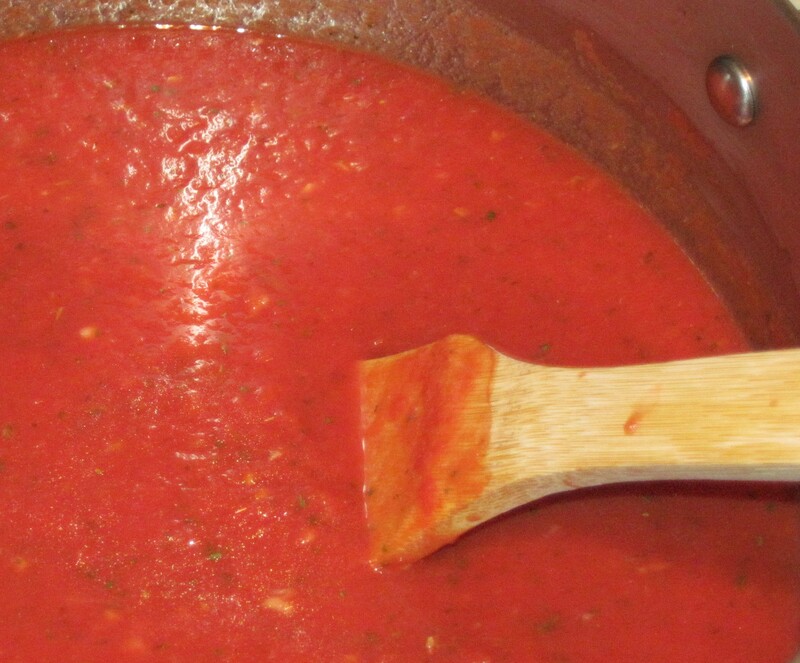 Drain and serve with your favorite sauce. This gnocchi has a great flavor in and of itself, so you don’t want to serve it with anything overpowering. My favorite is what you see in the picture at the top. Sauté 2 cloves of garlic in 1 tablespoon of olive oil for a minute or two. Add the cooked gnocchi and pan-fry over medium-high heat for 2-3 minutes, until the edges start to brown. 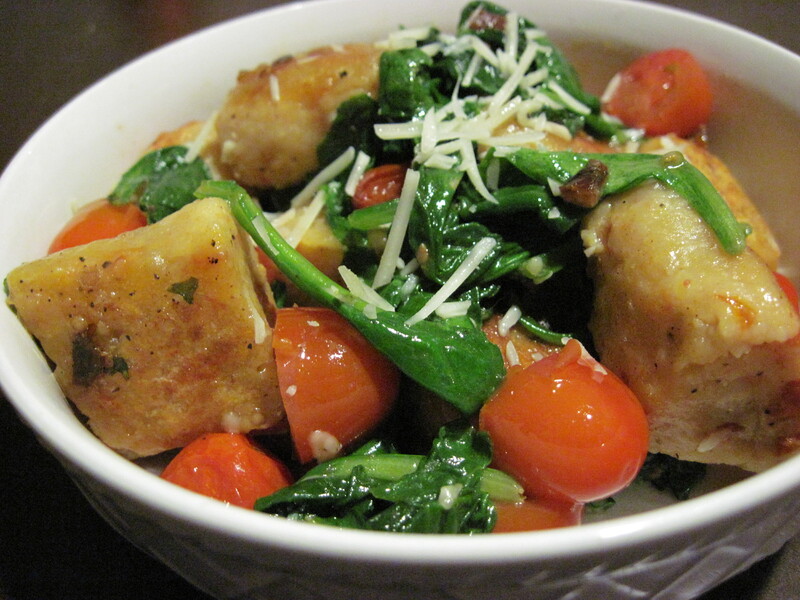 Add 1/2 a pint of grape tomatoes (cut into halves), 2 cups of fresh spinach, and salt and pepper to taste. Sauté until the tomatoes start to soften and the spinach is wilted. Remove from the heat, sprinkle with a little parmesan and serve immediately. This is also good in a simple cheesy cream sauce (think: most filling, rich, tasty pasta dish EVER). Also, a great appetizer is to take some cooked gnocchi, pan-fry in olive oil until the edges are caramelized, and serve as an appetizer with toothpicks and a tomato dipping sauce. 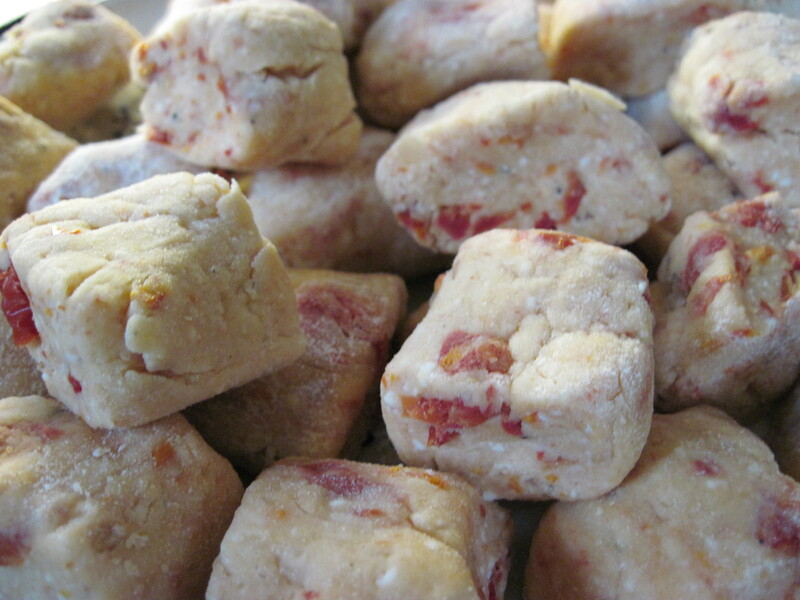 •I liked the idea of having a couple bites of pure sundried tomatoes in my gnocchi, so I opted not to use the food processor and to just mix by hand (chopping the sundried tomatoes somewhat small beforehand). It was also for this reason that I opted to use jarred sundried tomatoes over dry ones. The recipe didn’t specify, but I would recommend this just to have the added moisture. •My first inclination was to add all sorts of spices and herbs into the gnocchi. I did finally opt for some garlic. But there are two main takeaways here. 1) You can really mold this into whatever you want. 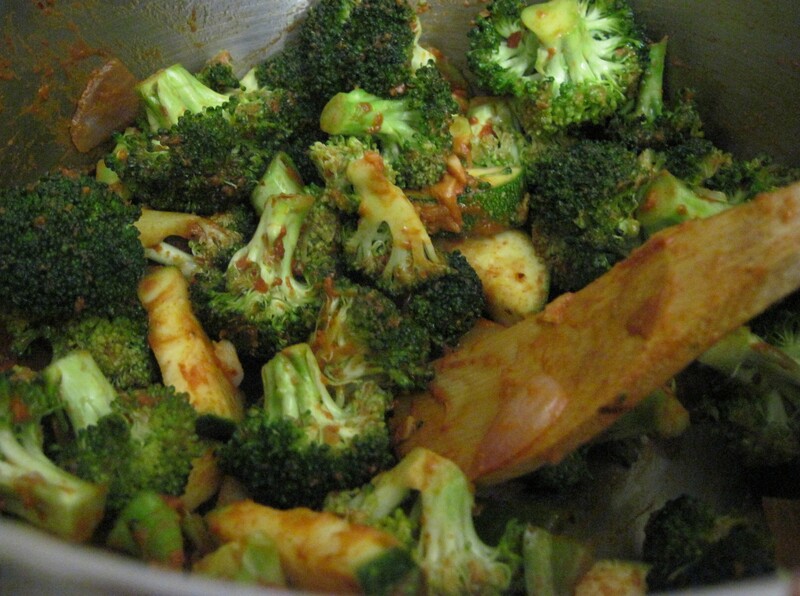 Replace sundried tomatoes with some other flavorful veggie or herb (perhaps roasted garlic?). 2) Just be careful not to overdo it. It is, afterall, pasta – something that is normally basically flour and salt. One or two additional flavors is enough, and the more simple you make it, the more different things you can do with it once it is made. I tend to stock up on berries anytime they look amazing, or worse, when they are super on sale. This weekend was one of the first times in a while I could sleep in and be lazy, and it happened to coincide with having several pints of blueberries in the fridge. So what to do? 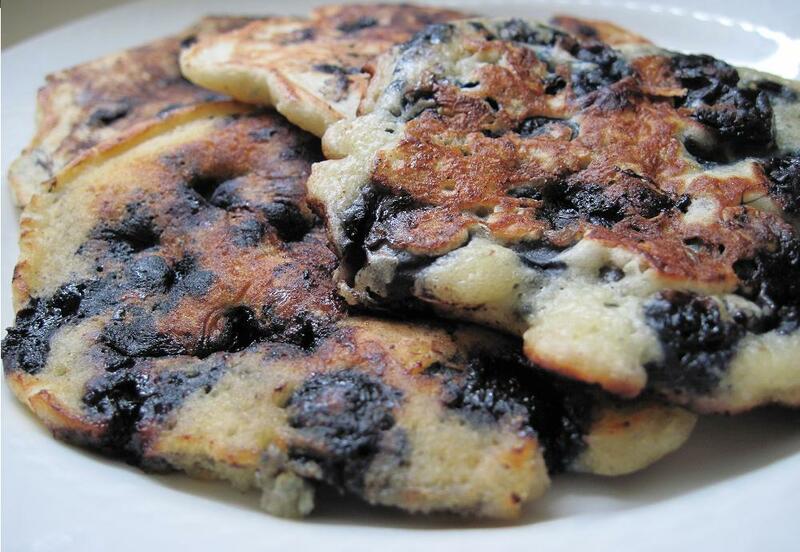 Make my favorite blueberry pancakes, of course! These are delicious, packed full of berries and easy to whip together. The only downside is the time it takes to cook all the pancakes (I am generally not too patient in the morning) – but if/when you have the time, it’s totally worth it! 1. Preheat oven to 250º F and place baking sheet in oven. 2. Mix all dry ingredients together in a large bowl. 3. Whisk together eggs, milk and melted butter. 4. Mix wet mixture into dry mixture until thoroughly combined. Gently incorporate blueberries. 5. Heat large skillet (or large griddle if you have it) over medium heat. Once hot, melt enough butter just to cover the bottom of the pan. 6. Pour 1/3 cup of batter for each pancake. Cook about 3 minutes per side (or until browned to your liking) and transfer to baking sheet in oven until ready to serve. 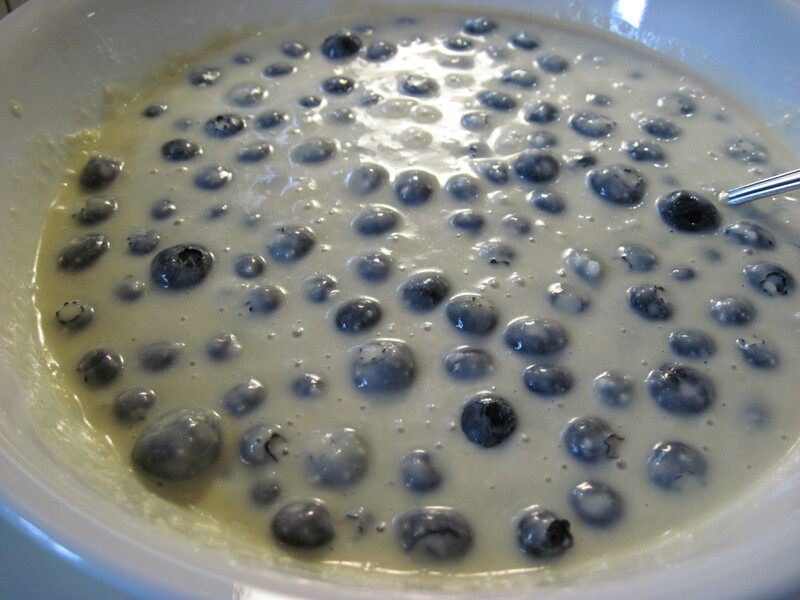 •One of the best things about this recipe is that you can just replace blueberries with most any other berry or fruit and it works well. One of my favorite alternatives is to make banana walnut pancakes (mash 2 ripe bananas into the mixture and add 3/4 cups walnuts). 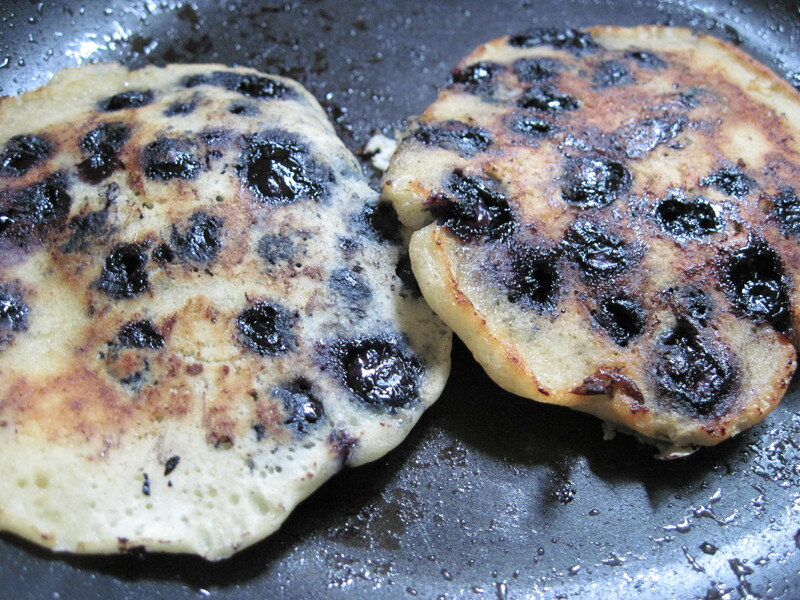 •The problem of making pancakes for 1 (or even 2) is that there’s too much batter! It’s usually too complicated to half a pancake recipe accurately. And you can keep the batter for only another day or so (if that). My recommendation is to just make the whole batch (even if it’s WAY more than you’ll eat). Then let any leftovers sit out to cool to room temperature (only an hour or so after eating) and then seal in a Ziploc bag and freeze. They’ll be good for a week or more and all you have to do is pop in the toaster oven to reheat. I love enchiladas, I love sweet potatoes – I LOVE sweet potato enchiladas! Below you will find the recipe for my favorite meal. The recipe is simple, takes a small investment in time and rewards big with large quantities and big flavor. 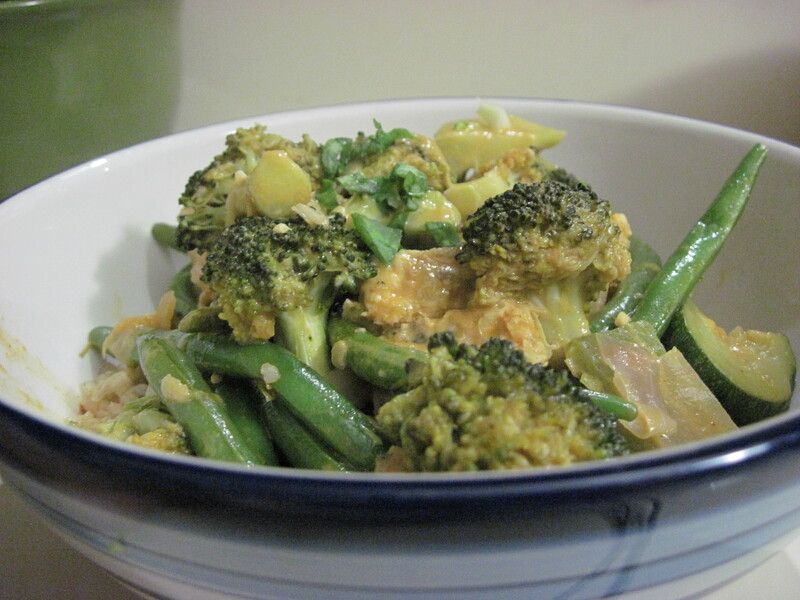 I particularly love this using my favorite tomatillo sauce recipe. 1. Preheat oven to 450º F.
2. 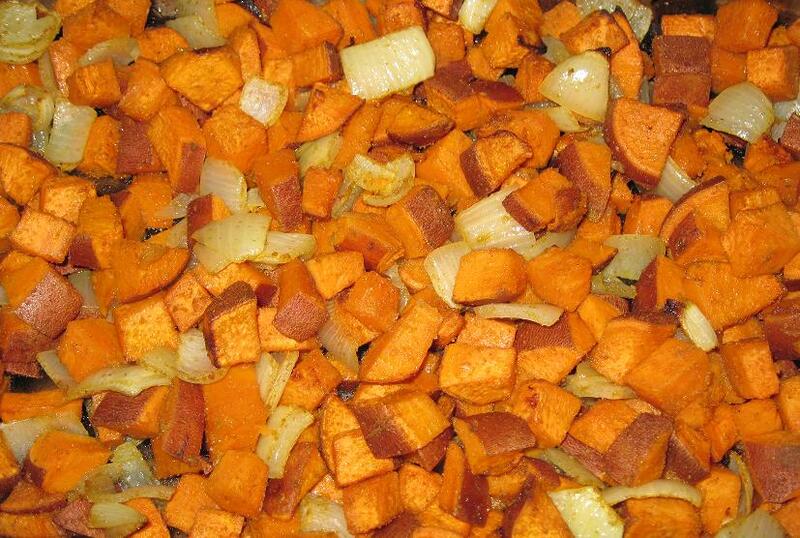 Toss sweet potatoes, onion, vegetable oil, cumin, garlic powder and salt and place in a large casserole dish. 3. Bake for 15 minutes. Remove from oven, stir and bake an additional 10 minutes until edges are brown. 4. Once baked, remove sweet potatoes and turn down the oven to Preheat oven to 375º F.
5. Spray a large casserole dish with non-stick cooking spray. And then spread 1/2 cup of sauce in the bottom. 6. Take 4 tortillas and layer to cover the bottom of the dish. 7. Spread 1 1/2 cups of sauce over the tortillas. 8. Spread half of the sweet potato mixture over the tortillas. 9. Sprinkle 3/4 cup of each cheese over the sweet potatoes. 10. Take 4 tortillas and layer to cover the sweet potatoes. 11. Repeat steps 7 through 10. 12. Spread another 1 1/2 cups of sauce over the tortillas and sprinkle the remainder of the cheese over the top. 13. Loosely cover the dish with foil and place in the oven (set to 375º F). Bake for 20 minutes until cheese is melted and sauce is bubbling. 14. Optional: Remove foil and turn oven up to 500º F. Bake on top rack until starts to brown. This dish is great by itself. However, my ideal dinner is this served with short grain brown rice, refried black beans, a small side salad (of baby spinach, grape tomatoes and red onion), and a little fresh salsa and sour cream. Yum! •If you do want to make this into actual enchiladas (as I occasionally will), just make individual enchiladas by dipping tortillas into the sauce (you’ll need probably closer to two dozen tortillas), and fill with 1/4 cup of filling and a large sprinkle of each kind of cheese. Wrap and place seam side down in a casserole dish. Cover with extra sauce and sprinkle with cheese and bake as instructed above. 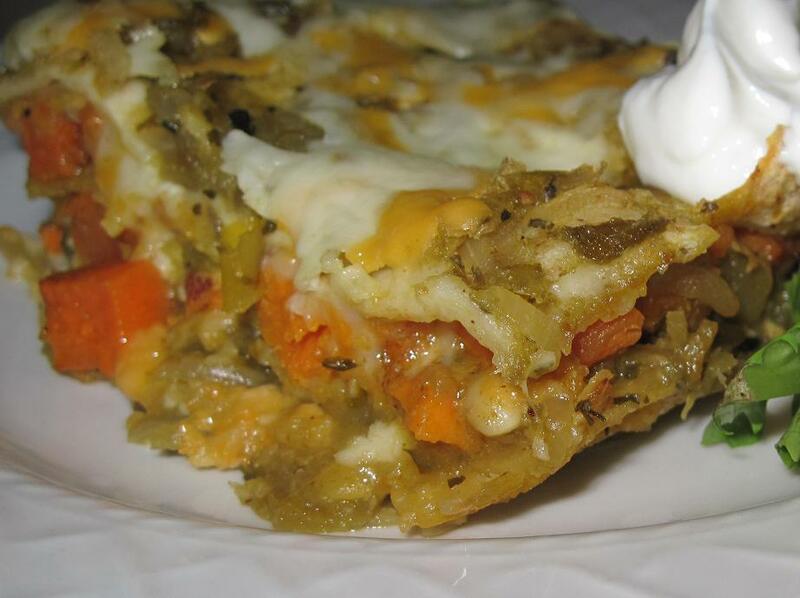 •You can really use any quality tortilla for this dish because it will soak up the sauce and melt into the dish. 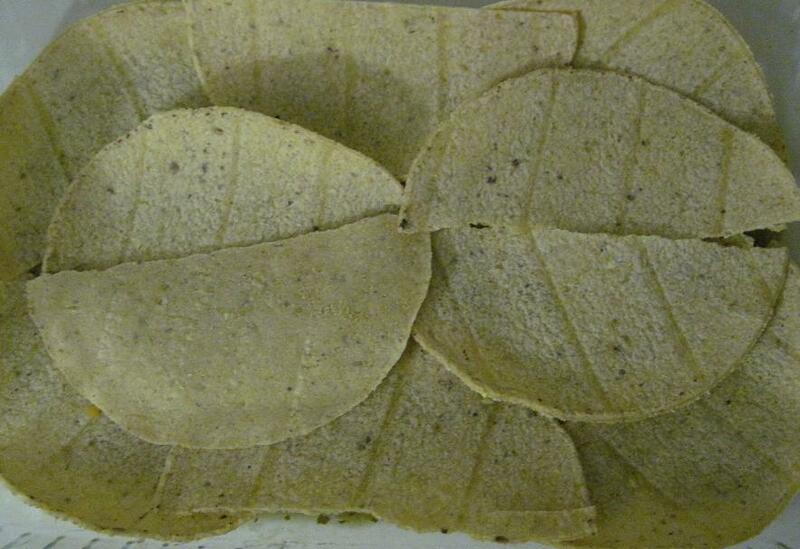 However, if you make enchiladas, I recommend trying <a href="https://beetnikrecipes.com/2010/06/23/favorite-things-1-tortillas/"these hybrid tortillas – it will make wrapping easier. If you use a less flexible corn tortilla, simply wrap in foil and bake for 10 minutes at a low temperature and that should help.